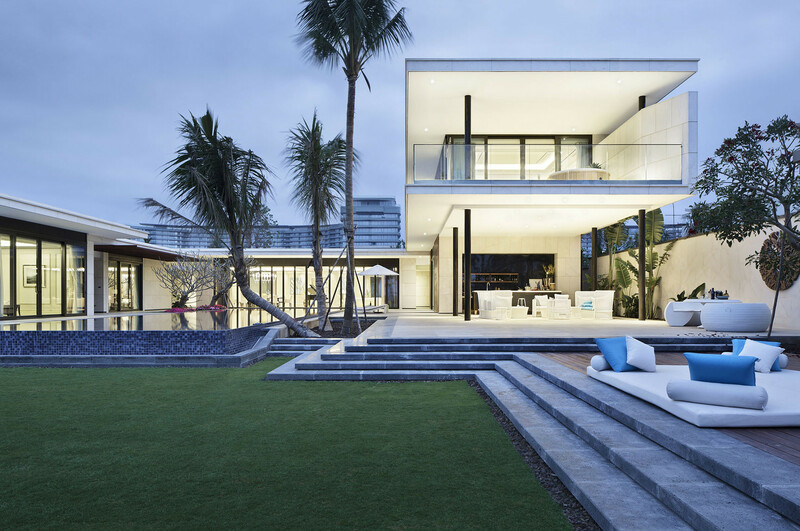 This house is part of an amazing new and modern villa complex in Hainan, China. It was built in 2014 and it is located in the ultra expensive and privileged Qingshui Bay International Resort. The villa has an open and practical design that utilizes glass walls for high exposure to the surrounding environment. It is also located very cloase to a beach which make for stunning views from the balcony. This is a house for the ultra rich in China, but I hope many homes around the world follow this modern and open look because it is very beautiful!